The dream, desire, and constant endeavor of our Federation are always to improve the benefits to all the Officers. We are very happy to inform you that our efforts on revision on Rent Free Accommodation have shown the desired results. Towards this, we are now enveloped by a radiant rainbow with the approval of enhancement in Rental ceiling by our Board at its meeting held last month. Friends, you are aware that we have been taking up with top management for improvement in several areas, impressing upon them the burden of responsibilities, mobility and workload shouldered by officers. Our Perseverance paid dividend. 2. Conveyance Reimbursement on Monetary Basis. The conveyance reimbursement ceiling on monetary basis have also been increased from Rs 2000/- to Rs 10,000/= per year to the officers w.e.f 1st April 2013. Friends, dreams do not suddenly transform into reality. 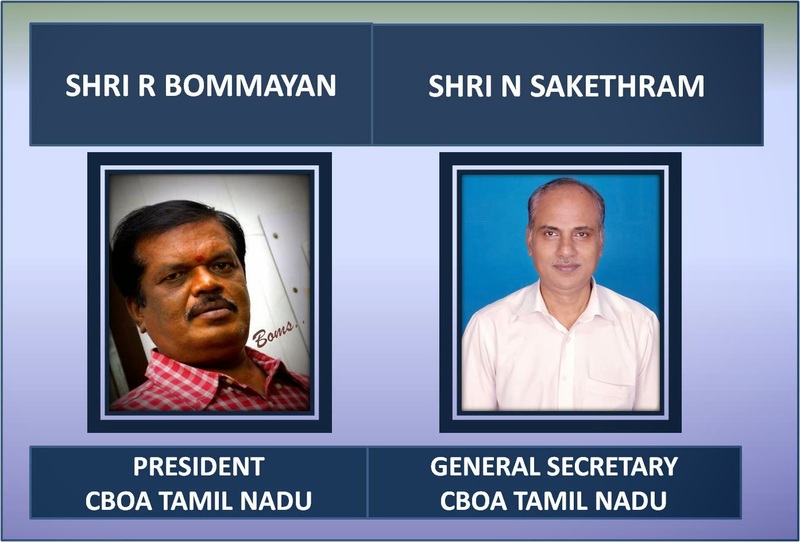 It is the large heartedness of our CMD, whose heart beats in unison with all CENTRALITES particularly officers, and his constant mantra is “CBI should grow” that translated into this Shower. Equally empathetic and concerned for our welfare, our EDs Sri.Malay Mukherjee and Sri.R.K.Goyal have been supportive of our efforts recognizing the hard work being put up by Officers. 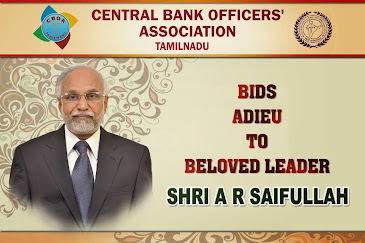 We place on record our deepest appreciation and gratitude to our CMD Sri.M.V.Tanksale, who always motivate us to” Beat the Best’ and created an atmosphere and invigorate passion to deliver value in the market. We thank our Executive Directors. We also thank our General Manager (HR) and their entire team whose continued efforts made this possible. Some more important issues are pending for consideration from the top management. Conveyance on petrol Reimbursement The ceiling on Petrol reimbursement was not enhanced for the last two decades. We have taken up with the management for the hike in ceiling. During our meeting with CMD, as referred in our cir No.03 dated 28th Jan, 2013, we had reiterated the revision in view of the responsibilities shouldered by the officers, we understand that our efforts are expected to show early results. Additional Petrol Reimbursement to Branch Managers The role functions of Branch heads are continuously on the increase. Their development roles are also becoming competitive as never before. The expectations of our Management are enormous and quite challenging. Our BMs sunshine or rain, have to be on the move, whether it is for business development or NPA recovery or inspection. It is only fair that reimbursement of Additional petrol expenses be allowed to them with changing roles. Our Administration is yet to consider our demand for Additional Petrol reimbursement to all Branch Managers without any rider clause. Lodging Expenses The reimbursement ceiling for the officers travelling on duty was lastly revised in the year 2010, which is comparatively lower in the market as well ceilings extended by the peer banks. We have already demanded the administration for the enhancement in the ceilings. Reimbursement of cost of Newspaper We have demanded our administration for the reimbursement of cost of one local daily and one financial daily along with the periodicals with the ceiling increased to Rs 500/-pm from the present Rs.110/- pm for a daily. Friends, we shall keep you posted of the developments in due course.